Many friends come and go, and there is no friend closer than Jesus. Among our human friends, though, some of the closest ones we can have are our husbands, our children, and our family members. 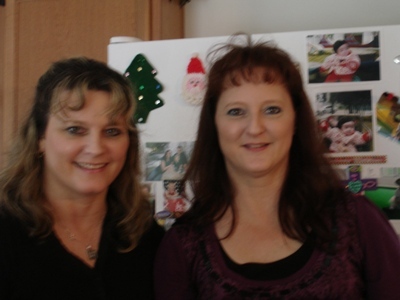 One of my very best friends is my sister Maria. Throughout my adult years, I have written Maria literally hundreds of letters – some of them very long. Yes, the lost art of letter writing instead of emails, IMs, and texting. When I say long, I mean ten to 25 pages long, some hand-written, some typed! Some include my famous “stick cartoons,” depicting stressful events in my life that I would cope with by drawing exaggerated, funny stick cartoons of me, my family, and others. Maria, “bless her heart” as they say in the south, has loyally read every single one of these letters – and laughed a lot over the cartoons with me. Maria doesn’t write letters. If I am lucky, I get one a year from her. When it comes, it’s a total shock and I prize it like Belgian fine chocolate. I’ve begged her for years to write me, but she doesn’t have time. (She actually has a life!) But she does call. A lot. A whole lot! I write, she phones. We are borderline co-dependent on each other. We talk, we cry, we laugh, we pray for each other. We don’t always agree with each other. We even get on each other’s nerves sometimes. But we tell each other the truth. We see the best in each other. We believe in each other. We’d fight to the death for each other. And only my sister can really get my warped sense of humor! We are sisters. But best of all, we are friends. And not just here – but for all of eternity. My sister Maria. I love her – and I don’t know what I’d do without her! Do you have such a sister and friend? Who are your best sistahs? Tell them today that you love them and what a difference they make in your life! Some of the best sistahs and friends I’ve met are online! Know what you mean! Here’s to my two biological sisters: Misty, who’s with Jesus already; and Julie, who’s here walking this earthly journey with me… and, so many other sistahs who are “Jesus-Kin” (as we say in the south). Thanks so much, Beth, for writing this. Hi Beth! I work with Maria. She is a new blessing in my life. We have bonded as families with that “warped” sense of humor and common life trials. I often think, “Where was she when I needed her most.” She has even shared your book with me. She seems to always have the knack of knowing when I need a little lift. It’s wonderful to see you express the love you each share. So wonderfully expressed that it brings tears to my eyes. Everyone needs to have that love whether it be from family or a friend. Those that don’t have it are missing out on a true miracle of love. Just as Jesus loves us. Thanks for sharing your love for your sister with us. I hope to meet you one day! Thanks, Maria! 😀 Love you, too! You need a gravatar so people can see your face! Go to http://en.gravatar.com/ to sign up, and it will show your picture whenever you post comments on blogs! Wow, you and your sister look alike! It’s so nice that you are so close. That’s a real blessing.